“INDIGOrchestra” is a Bulgarian, ethno - music ensemble that unites the "colors" of the traditional, western orchestra with the timbres of the folk instruments of Bulgaria. The ensemble performs original music written for it by Stratsimir Pavlov, the ensemble's conductor and pianist. Debut album - "Seven Sacred Spaces" was released in the Spring of 2014 and premiered it in the Fall of the same year. Since then things have spiraled in a very positive, upward direction, as the ensemble received great reviews and several invitations from different venues. 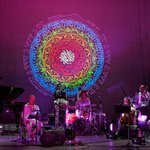 Some of the country's foremost musicians unite in this project to add their unique and exquisite vibration to the whole sound space. Being wonderful improvisers, the artists keep the musical ideas fresh with every performance. 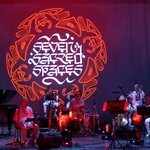 The "Seven Sacred Spaces" multi-sensory project, throws light on the relationship between the seven subtle Energy Centers in the human body (the Chakras) and the seven main Notes of the musical scale, the seven main Colors of the light-ray, as well as the seven main Human Emotions. The spectacle leads the observer into the Mystical World of this sacred principle, which defines much of what we call Reality. The meditative environment of the sounds, colors and aromas, gently allures into a state of relaxation, contemplation, harmonisation and healing. For each of the Seven musical compositions corresponds a certain color and aroma derived from the "Principle of Seven". One leaves the performance balanced and refreshed with a light "above the ground" sensation.